Peter Stevens puts the finishing touches on the Dendrobium D-1. You may have never heard the name Peter Stevens, but you're undoubtedly familiar with some of the cars he's designed: exotics like the McLaren F1, Jaguar XJR-15, and Lotus Esprit and Elan. And now he's lent his talents to another British supercar. Only this time it's all electric. Though the design was already pretty much complete, Professor Stevens has signed on to electric-supercar startup Dendrobium Automotive to tweak the shape on the forthcoming Dendrobium D-1, honing it into the XP-2 variant pictured above, with subtle styling tweaks that can only stand to improve the design. The Dendrobium D-1, for the uninitiated, is about as light as a super-EV can be. Offsetting the inherent heft of the battery pack, it's built around a carbon monocoque construction similar to what he (and Gordon Murray) pioneered on the McLaren F1. 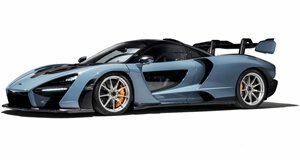 So while it may be heftier than an internal-combustion (or even hybrid) McLaren, at 1,750 kg (3,858 lbs), it's a fair bit lighter than a Tesla Model S or Rimac's Concept_One or C_Two. It's not the first time Stevens has worked on an electric vehicle, having laid the aesthetic groundwork for the Rivian R1T. 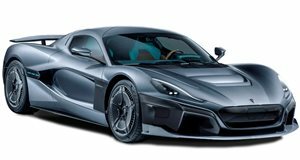 But this project is an altogether more performance-focused proposition, closer in spirit to the aforementioned supercars he's worked on before – to say nothing of the Le Mans-winning BMW V12 LMR, a handful of Subaru rally cars, and various MGs and Rovers.